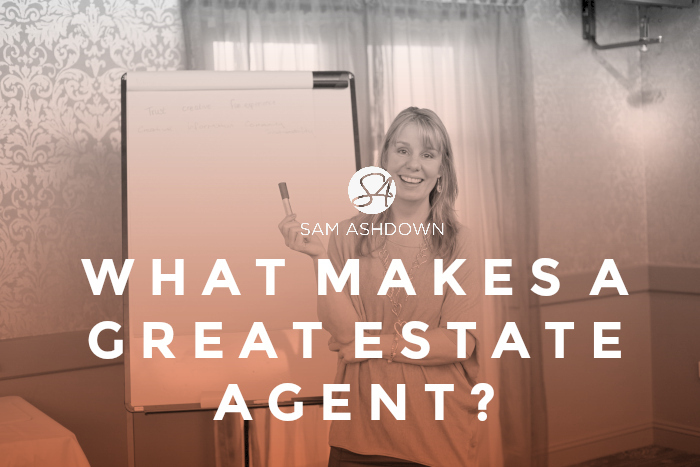 What makes a great estate agent? Learn from some of the best entrepreneurs in the world and discover the attributes that separate the GOOD from the GREAT. Are you a great estate agent? Before you set out on your personal quest, you have to clearly see the action steps to make it happen. What are you working for? Is it to earn more so that you can buy more stuff? Or do you have a higher purpose? A strong vision will help you overcome the obstacles you will meet, and the difficulties you will face, which leads nicely onto…. Challenge and struggle are a natural part of growth. Being an estate agent isn’t easy! Managing other’s expectations and egos will sometimes make you wonder if you’re in the right job at all. Try to see each problem as a challenge, and each struggle as a lesson you can learn from. You can’t guarantee that you’ll win every time, but you can always set yourself up for the opportunity to win. Being a successful estate agent – be it the MD or junior negotiator – means not just spotting opportunities, but creating them. If you create the right environment for yourself, and have the right mindset, you’ll be amazed at the opportunities that will somehow come your way. A willingness to do whatever it takes will take you where mere talent can’t. Being prepared to do what your competitors won’t, is the fastest way to set yourself apart from them. They won’t door knock? Great! You will, so get out there. They don’t believe in social media? Terrific! Create a ‘be everywhere’ strategy and dominate the social media channels in your area. Hustle, and keep hustling, and you’ll smash the competition. Your health (emotional, mental and physical) can either hold you back or drive you forward–which way do you choose? Richard Branson was once asked for his best ever piece of advice for entrepreneurs. Do you know what it was? He said, “Keeping fit”. He recognises that without a strong body, you won’t have the energy to keep going and push through at difficult times in your business. Eating healthily and looking after yourself will give you the edge in business, and in life. Without intentional habits, life turns into a nothing but a series of reactions. Something you do once a week, isn’t a habit. Habits are daily activities that can contribute to – or detract from – your success. For example, if you have a daily habit of going to the bakers’ for a cake with your morning coffee, over time this is going to impact your health in a negative way, reduce your energy levels and deplete your bank balance. But if you have a daily habit to write a blog each day, imagine the positive impact this could have on your website traffic, professional credibility, and your position as an expert in your community. Each of these habits could take 20-30 minutes, so choose your habits wisely. A powerful, reliable team is the key to building something that’s bigger than yourself. There’s a famous quote that goes, “if you are the smartest person in the room then you are in the wrong room”. By surrounding yourself with people that are cleverer than you are, you can skyrocket your business through their brains and expertise. So learn to let go and delegate, trust in your team, oh, and hire smart people! The crowning moment of greatness is giving your gift to the world. The more I help others, the more successful I become; it’s not a coincidence. Don’t give to receive, but have faith in the law of Karma: what you give out, will come back to you. So I ask you again, are you a GREAT estate agent? What to read next: Know it all, yet? Previous post What makes you stand out from the crowd? Next post Is your website working?